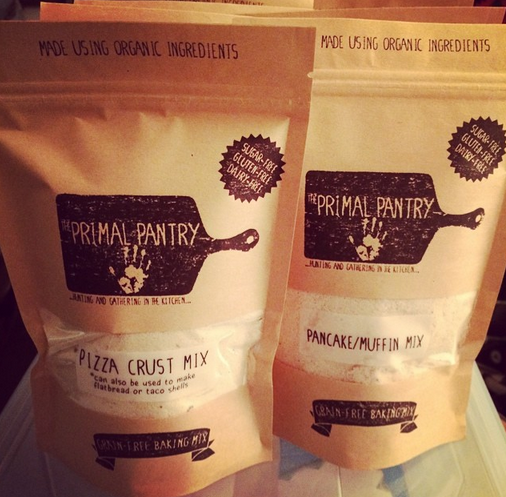 To make these, you will need 1 package of The Primal Pantry pizza crust mix... which I may start calling my "Magic Mix" since it can take so many different forms. 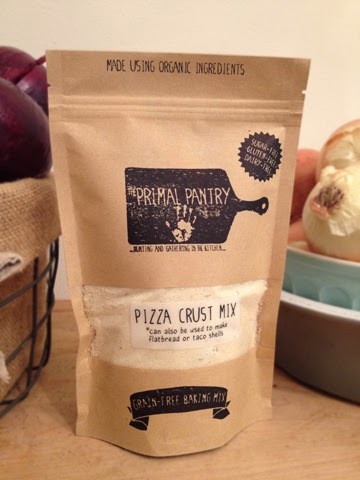 Mix the ingredients of the bag in a mixing bowl with the egg and half of the 1/4 cup of water using a fork. Slowly add the remaining water until the dough sticks together but doesn't stick to your finger. You may not need all of the water. Once your dough is mixed, divide it until you have about 1 and 1/2 inch dough balls. You should have 10 to make 10 large taco shells or tortillas. If you want more, you can make them smaller. Remember that the larger they are, the harder it may be to keep them upright in the mold when making hard shells. 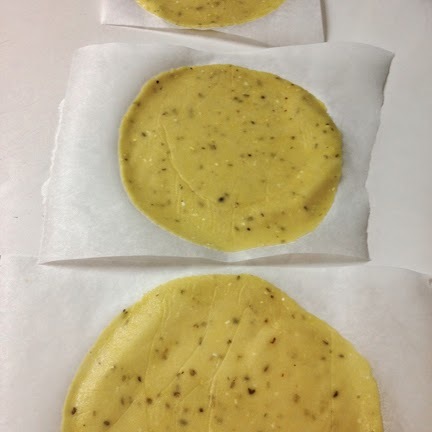 Take each ball and using your rolling pin, roll it into a circle between two pieces of parchment paper or one folded in half. I use this small one-handed rolling tool so that I can hold and rotate the parchment with my other hand. It definitely makes things easier! 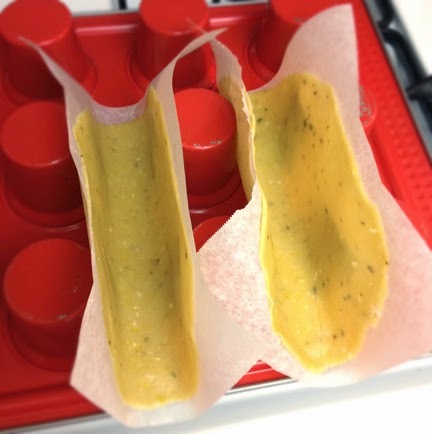 Take your rolled out rounds and using the underside of the muffin tin, place them upright with the parchment still underneath. These will be baked at 350 degrees until they are hard to the touch and have a little brown on the edges. If you are having trouble with keeping the shells upright before getting them in the oven, you can also hang them over the bars of your oven rack. Just keep both pieces of parchment on for this method. 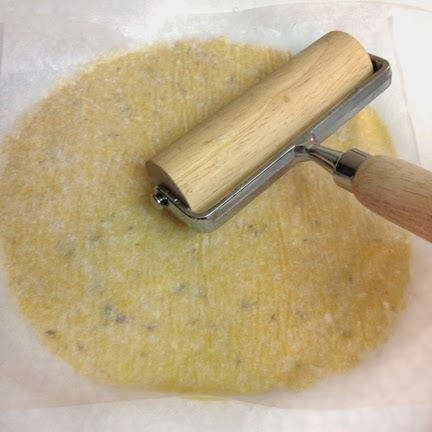 Keep your rolled out rounds between the parchment laying flat and bake them at 350 degrees. You are going to really want to watch these carefully. Check them after 5 minutes and every couple of minutes after that. You are trying to achieve cooking without hardening. The pieces of parchment protect the middle from cooking too quickly. 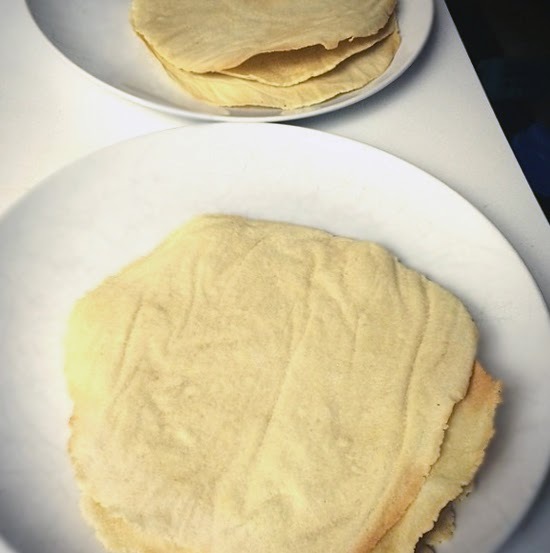 So, when you start to see the edges of the parchment curling up and the edges of the tortilla are getting stiff, take them out. The middle should still be soft enough to bend when you pick them up. The degree of difficulty is pretty high for these because you really have to avoid letting them go for too long. If you have a tortilla press (if only!) you are a lucky person and may be able to use that to master the perfect even temp for soft shells. 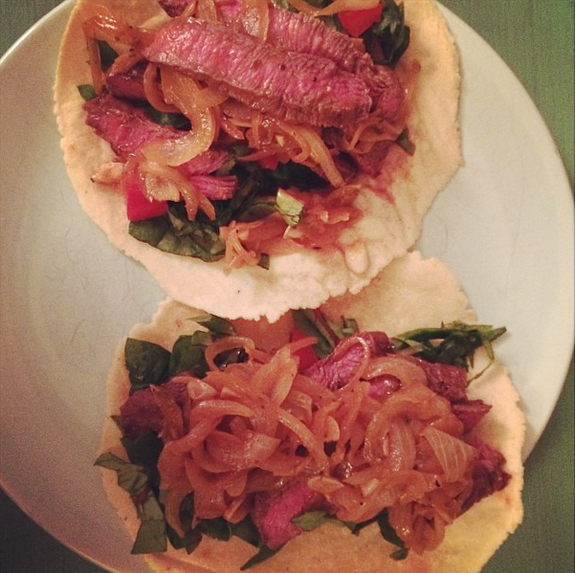 When you have achieved the perfect tortilla, you can create many amazing things like these delicious fajitas! Good luck!